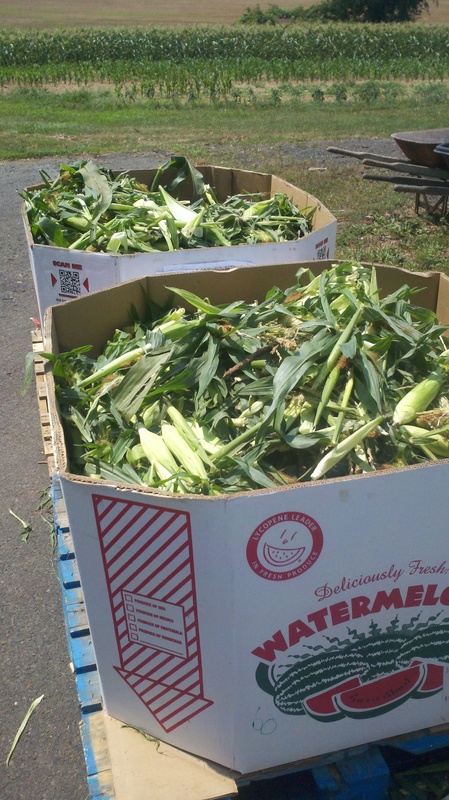 One thing I learned in researching the potential for innovative partnerships to recover excess produce from the farming community: farmers don’t like food waste either. They’ve created something of great value through their own hard work, and most of them want to see any excess put to good use – especially if it involves helping others in need. This provides the foundation for effective partnerships between growers and food banks. Farmers are extremely busy; it can be difficult to arrange meetings with them, and you have to be highly reliable in living up to logistical commitments, but the benefits can be great. One partnership resulted in the capture of tens of thousands of lbs. of sweet corn annually for a local food bank. While initially the corn that was obtained for resdistribution involved the smaller ears (“seconds”), this partnership quickly resulted in the capture of market grade ears of corn when market conditions resulted in production exceeding demand. The farmers in question were able to divert the excess corn to bins for pick up by a food bank with little extra work rather than dispersing it over their fields, and the needy received top quality corn. Such is the case with these collaborative efforts; initial success tends to build and yield even greater results.